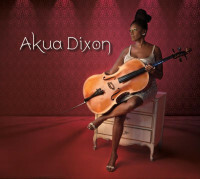 New York cellist, arranger and composer Akua Dixon is a major talent, but certainly not new on the scene. For the past three decades Dixon has occupied a number of chairs in string sections, from the Symphony of the New World, Quartette Indigo (she composed the music for the group’s 1997 album Afrika! Afrika! ), and the acclaimed String Reunion orchestra, to the pit of the Apollo Theater backing everyone from Rev. James Cleveland to James Brown. Expanding beyond her strictly classical training, in part due to limited opportunities for Black musicians in symphony orchestras, she took up jazz, cutting her chops as a member of the Max Roach Double Quartet, and performing with many other jazz luminaries over the years. In fact, Dixon is heralded as a pioneer in the use of string sections in modern jazz. 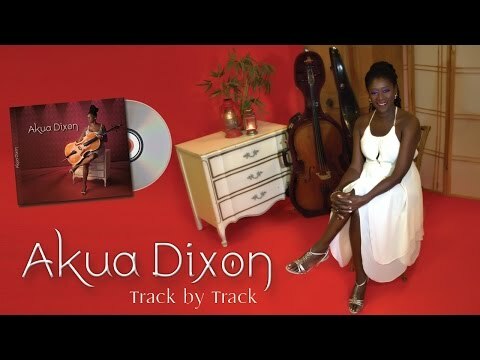 On her new self-titled album, Dixon explores the American Songbook, as well as Latin standards, through her own unique, compelling arrangements that merge elements of jazz, classical and Afro-Caribbean music. Dixon is joined by members of her “working string quartet” (Quartette Indigo), including violinists Patrisa Tomassini, Gwen Laster and Chala Yancy, with Ina Paris on viola, along with family members and special guest artists. On the opening track, Dixon takes the melodic and rhythmic essence of Charles Mingus’ “Haitian Fight Song” and transforms it into a fugue for strings, adding son Orion Turre on drums, Kenny Davis on bass, with the late John Blake, Jr. contributing the violin solo. Another jazz standard is transformed on the track “Freedom,” where two movements from Duke Ellington’s Sacred Concerts are combined with a new movement by Dixon, featuring improvisation from the great jazz violinist Regina Carter. On Richard Roger’s “It Never Entered My Mind,” Dixon scats over the string ensemble, while her daughter, jazz vocalist Andromeda Turre, sings Billy Strayhorn’s “Lush Life.” “Moon River,” a work Dixon has often performed with her Quartette Indigo, features solos by Tomassini and Paris. Though the jazz standards are delightful, the Latin portion of the album is even better. Regina Carter returns to solo on “A Gozar Con Mi Combo” by Cuban bassist Israel “Cachao” Lopez, rearranged for string septet “descarga,” with each member contributing solos. Quartet arrangements of Astor Piazzolla’s “Libertango” (also featuring Carter) and Consuelo Velazquez’s “Besame Mucho” were originally commissioned for a wedding, and are wonderfully seductive. The album concludes with Nat Simon’s “Poinciana,” based on a Cuban folk song. The version recorded by Ahmad Jamal was a major influence on Dixon, who arranged the work for string quartet, with Dixon picking out the bass line on cello. According to the liner notes by jazz authority George Kanzler, Dixon’s goal was to showcase music she’s arranged and performed over the years for a classical string quartet whose members she’s trained in jazz phrasing and improvisation. How lucky we are that she’s decided to share these gems. This album is highly recommended.